South Korean President Moon Jae-in on Tuesday accepted the resignation tendered by his economic policy aide over controversial remarks related to job seekers. Kim Hyun-chul, who advised Moon on economic policy, offered to resign on Tuesday, one day after he urged young and middle-aged job seekers to stop calling the country 'Hell Chosun' and instead to go to ASEAN countries to seek opportunities. 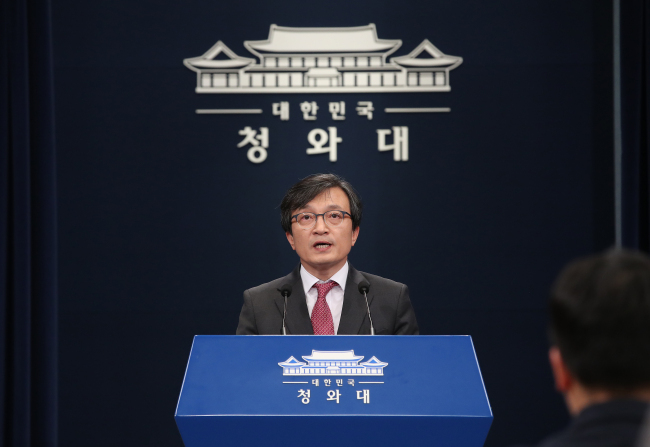 His resignation was accepted immediately, Presidential spokesman Kim Eui-kyeom said in a briefing. ASEAN stands for the Association of South East Asian Nations and Hell Chosun is a term, used mainly by young people, to describe South Korea's punishing social and career situation, particularly cram schools and widespread discrimination against the poor, women and minorities.